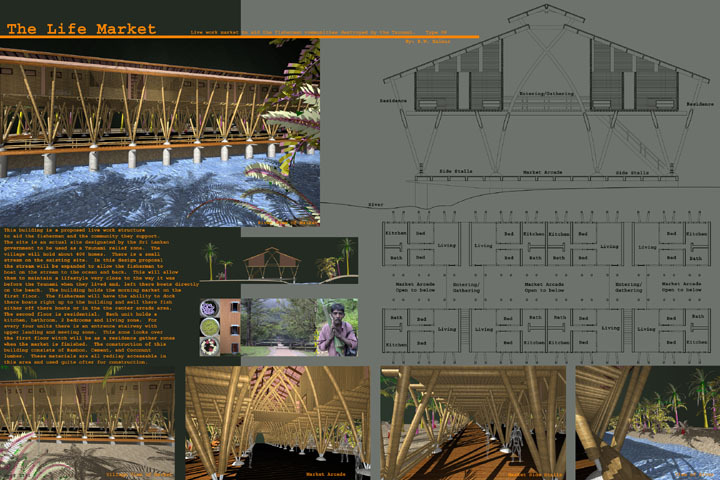 The Life Market is designed as a relief area for Sri Lankan fishermen and their families after the recent Tsunami. 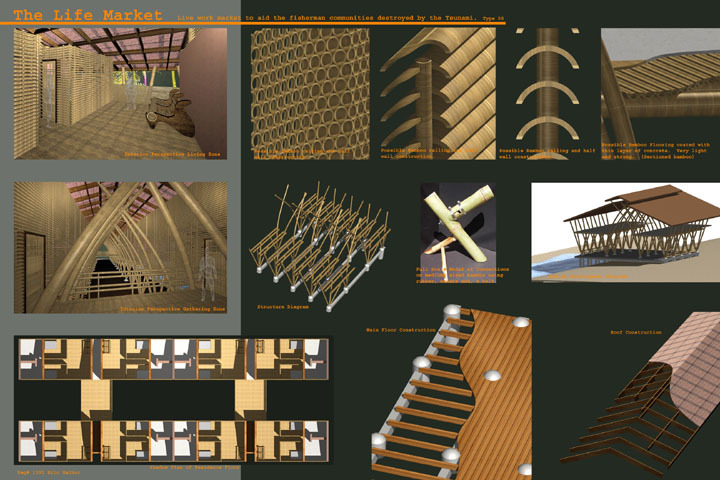 This bamboo structure serves as a gathering place and the second floor can serve as temporary living areas for smaller families. The site for this building is in a coconut grove with a stream running through it and bamboo groves nearby.